Mid-week ride, first bitter cold temps. Yesterday was Wednesday. I got sent home from work after a half day. 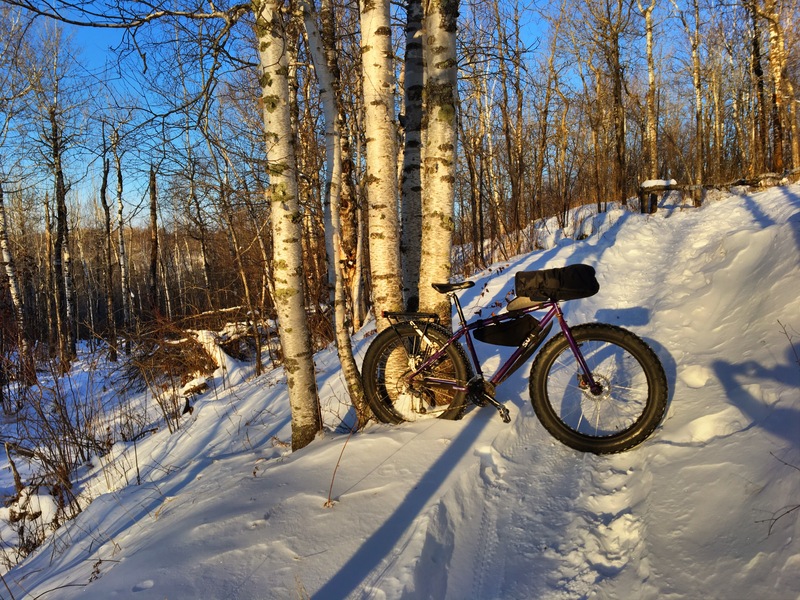 I took the Pugsley out with just enough snow on the ground to make it worth riding. I was specially excited to get out into the cold air we have right now. 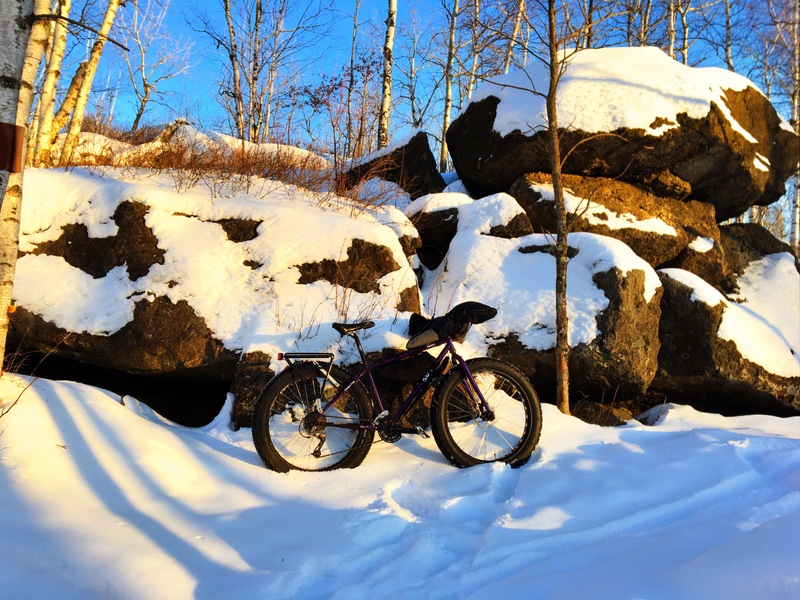 Snowbiking conditions get better as the temperature drops. When I headed out the temp gauge was reading 4*F degrees. With a 20 mph wind it made it the coldest air I’ve ridden in this season so far. With many years of experience of riding in bitter cold I knew what to wear to stay warm. The trail conditions were “okay”. A narrow packed area was ridden into the singletrack. As long as I could stay on that I was okay. Ride off that narrow ribbon and I was washing out. It may be my choice of tires more than the snow conditions. Regardless, I had the trails too myself. It was good to be out in the snow covered woods riding my bike. 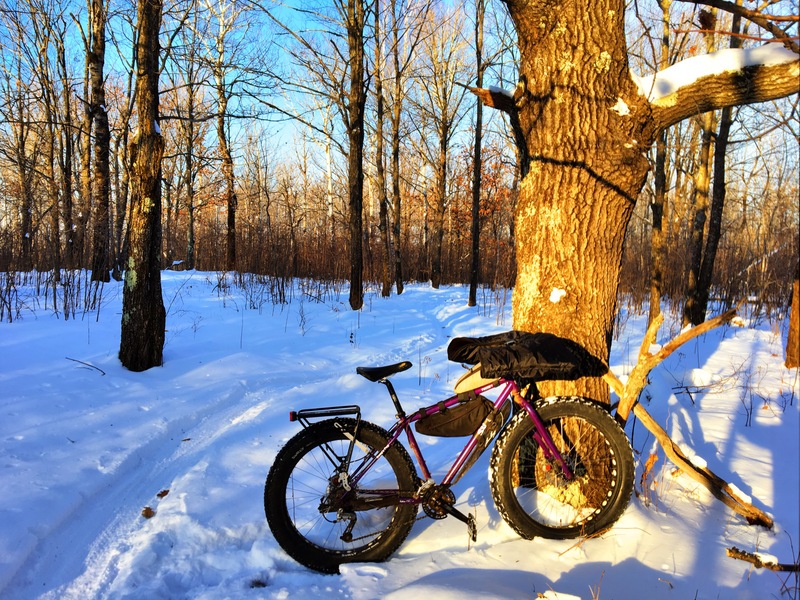 Previous Article Weekend report: First snowy rides of the season. Next Article Winter Cycling Tips: Part 2, more tips for keeping your hands warm.